Have you ever wondered about the process behind packed pomegranate arils and how they arrive packaged and ready to eat at your grocery store? The pomegranate fruit is put through several steps prior to extracting the arils and then the arils are put through a few steps to ensure they remain fresh and delicious. Pomegranate fruits are sent to the manufacturing plant fresh and ripened. The fruits are cured in the shade for roughly 48 to 72 hours before they are opened up for seed removal. Next, the fruit is washed thoroughly in hot water to remove any dirt or pesticides that may have accumulated on it during the picking and curing process. After the washing, the fruit is brushed over so that any remaining particles are removed. The whole pomegranate fruit is now ready to be opened in preparation for the extraction of arils inside. First, the fruit rind is scored and broken open carefully. Water and filtered air are used to remove the arils from the membrane inside the fruit. The arils are washed thoroughly in cold water to remove any remaining membrane. Once the rind and membrane pieces are completely separated from the clean arils, the arils are dried completely by forced air. Finally, the clean and dried arils are ready to be packaged. They’re placed into clean containers covered with a special breathable plastic that prevents oxygen from entering into the package. The packaged arils are then sent on to the grocery store, health food store, or market ready for purchase. 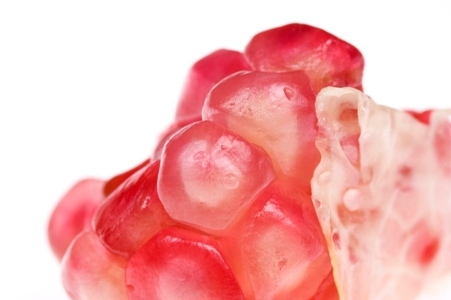 You may even want to try these straight on the internet: pomegranate seeds. This process helps to ensure that the arils will taste fresh and delicious for a longer period of time, lengthening their shelf life in the market or store. 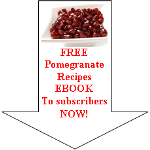 Read enough about packed pomegranate arils and want to discover more about pomegranate information?